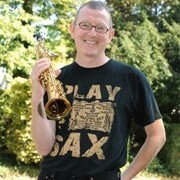 Gerard McChrystal is Professor of Saxophone at Trinity Laban Conservatoire, London and RWCMD, Cardiff. He teaches saxophone from beginner to advanced. He has given over 75 saxophone courses for Benslow Music, Hitchin. His International Saxophone Course at LMFL, Wales has students from complete beginners to advanced professional level saxophonists. Students have travelled from Ukraine, Russia, France, Italy, Spain, USA, Austria and Luxembourg to study with Gerard. 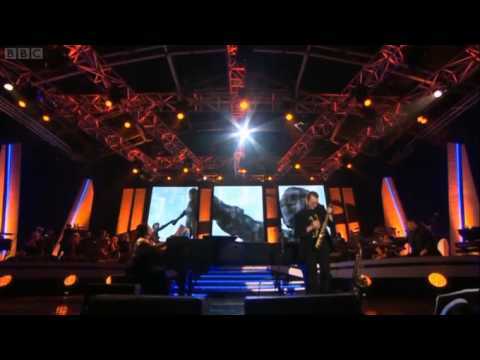 As a performer he has performed in over 35 countries and has worked with BBC Philharmonic, Philharmonia, Soweto String Quartet, composer Philip Glass, Classic FM guitarist Craig Ogden, Choir "Anuna" of Riverdance fame & uileann piper Liam O'Flynn. In 2013 he performed with Snow Patrol, Nadine Coyle and many others at the opening of Derry-Londonderry UK City of Culture 2013. He has given concerto performances at UK, European and World Saxophone Conferences. I have been teaching the saxophone for 30 years. On a weekly basis I work with around 30 students of all levels from beginner to advanced. I ran the saxophone Focus course for NYWO for 15 years. I have worked for Chethams School, Manchester, NYWOW, Loughborough Endowed School, Oakham School, Harrow Boy's School. Nearly all of my students get to Grade 8 (often distinction level) or ARSM. Some have got into conservatoires including RNCM & RAM. Many of my students are now working in the music business including West End. Some are now heads of music depts. Some students are preparing for exams, some want to work on a specific technique and others just want to feel more confident when they perform in public. Each one gets a bespoke experience. I can suggest books, studies, repertoire, listening and arrange a practice routine.